Dr. Hemalatha is an MD obstetrics and gynecology in Anna Nagar & Mu Va hospital and specialty center, Chennai. She has done diploma in of advanced endoscopic surgery in gynecology at Kiel school gynaecological endoscopy and reproductive medicine, Germany in 2007. 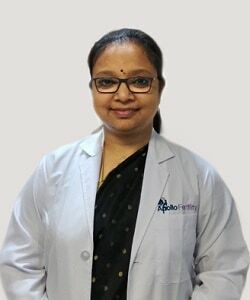 Also she has completed fogsi course on advanced infertility at ruby hall clinic IVF and endoscopy centre, Pune and also at edappal hospital under dr. gopinathan, Kerala in 2014.